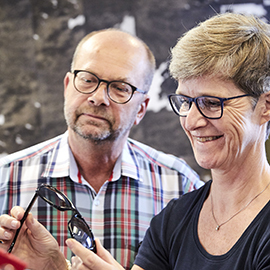 Related has been working for Optik Team – a Danish chain of opticians – since 2011. The chain consists of close to 160 individual opticians, making Optik Team one of the biggest chains of opticians in Denmark. On behalf of Optik Team, Related handles traditional PR activities with the purpose of securing the individual opticians valuable media exposure in their local areas (regional and local press effort), while also securing Optik Team exposure as a chain/brand (national press effort). This is achieved through monthly press releases that Related plans, writes and distributes – resulting in extensive press coverage of the local opticians and the chain. In addition to this, Related assists Optik Team in social media management; each month, Related compiles a content calendar with optional Facebook posts for all the local opticians – closely tied to the content of the PR efforts.